Boing Boing is proud to welcome Outvote.io as a sponsor. Want to get Dems and progressives elected in the 2018 midterm elections? In 5 minutes? From your couch? There’s an app for that. The majority of registered voters missed the last midterm. Unsurprisingly, most people won’t admit it. Young people are the worst when it comes to pretending that they’ve voted. So how can we get people into the voting booth this November? It turns out that reminding your friends to vote is surprisingly effective. The bottom line is that people trust their friends. If your longtime pal tells you something about a candidate, you’re much more likely to trust their opinion than a TV ad. In fact, during the 2018 primaries, friends that got a single text via Outvote became 10% more likely to vote. The Outvote app shows you which of your contacts have missed a recent election by matching them to publicly available voting data provided by the state they live in. It then makes it easy to send reminders to everyone that needs them. 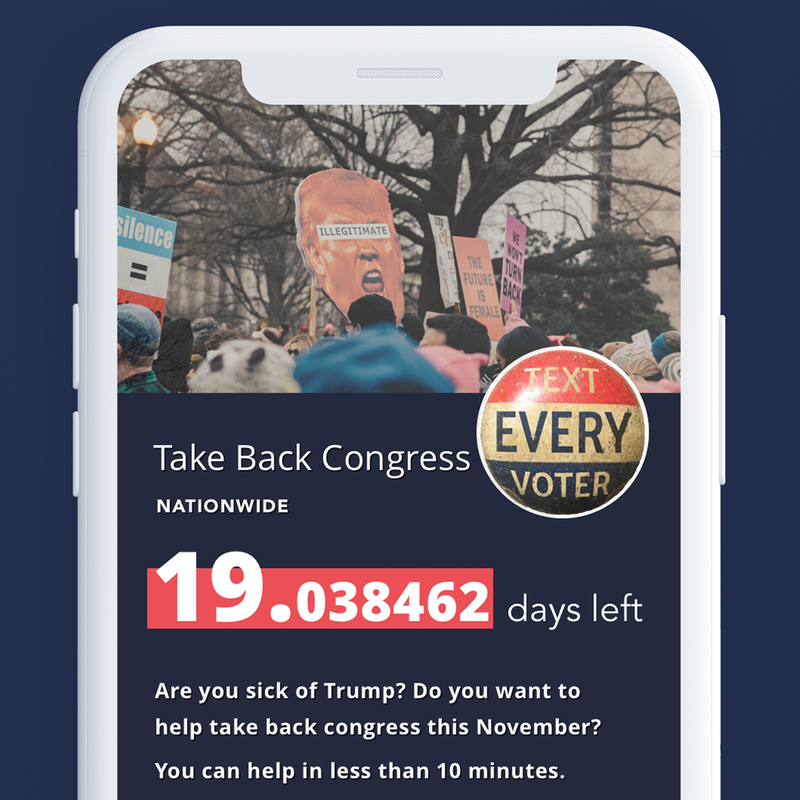 The app will even tell you which of your friends live in the critical swing districts that are needed to take back the House this November. The average person has about 500 contacts. You could easily have 50 votes sitting in your pocket that aren’t going to show up unless you text them. MoveOn, Swing Left, Flippable and Democratic State Parties across the country are all using Outvote to get Democrats and progressives to the polls this year. Candidates spend millions of dollars making attack ads and promo reels in an attempt to win you over, but when it comes to actually getting people to vote the effects are small and short-lived. What reliably gets folks to the polls is conversations between real people, especially between people who already know each other. It’s not that crazy when you think about it. If you searched through the voter rolls during the last election and sent reminders to all of your friends, you’re a national treasure. If you didn’t, download the Outvote app and get your friends to the polls.